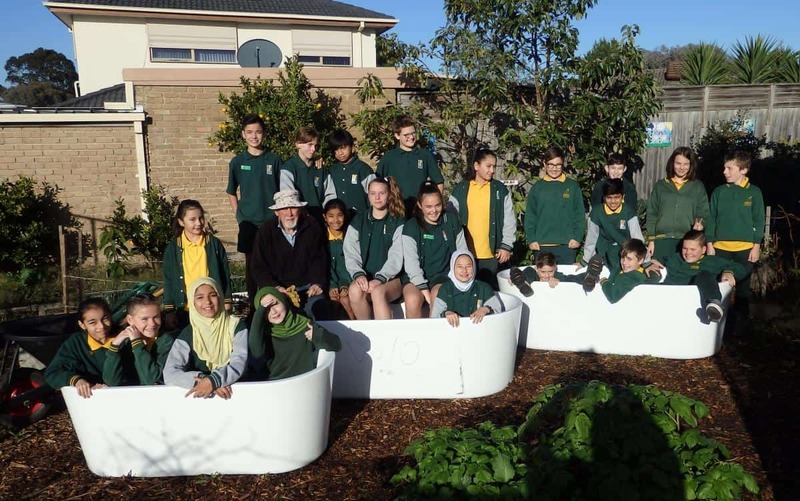 SEMESTER ONE – Year 3 – 6 students participate in our SAKG program. 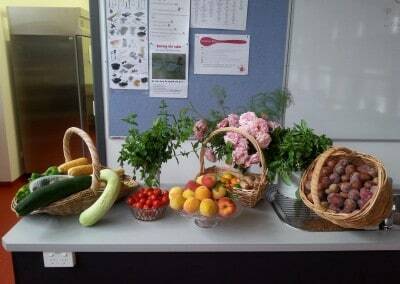 SEMESTER TWO – Foundation – Year 2 students will enjoy the SAKG sessions. 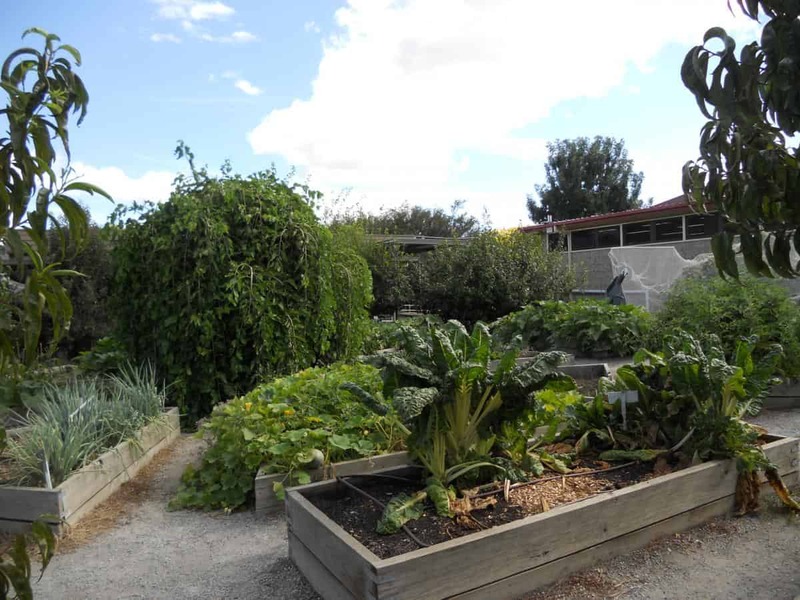 Kitchen Garden at Hallam PS introduces students to sustainable garden practices, food preparation skills and the enjoyment of sharing food with others. Students work with Ross in the garden and Kathy in the kitchen. how to develop an expanding culinary palate and be excited by all of these experiences. New bath tubs for the garden! The information age requires that children are empowered to manage and innovate what we are yet to imagine. This necessitates the development of a deep understanding of information systems, the use of critical thinking and informed decision making. 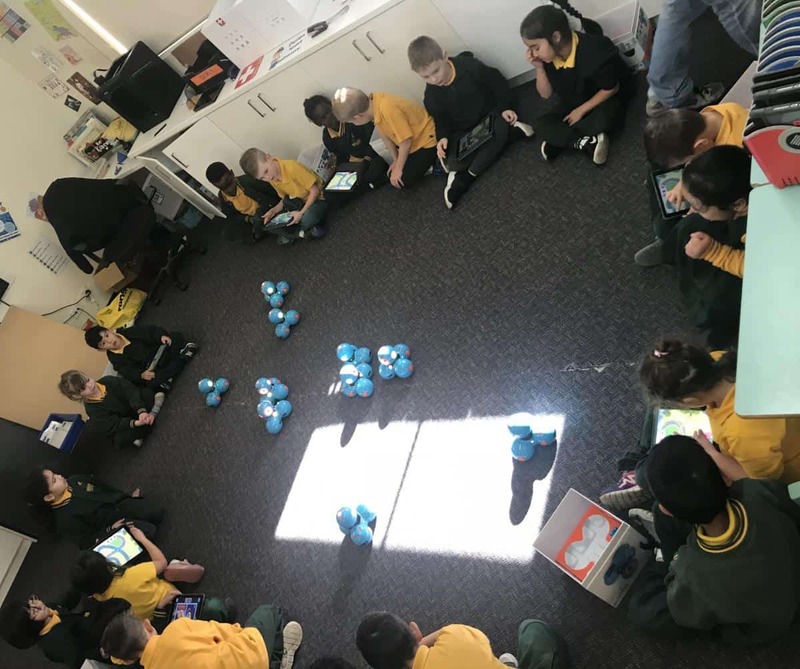 The Digital Technologies curriculum is centred in the Design Space at Hallam PS, a weekly 50-minute specialist session enabling hands on experiences with a range of digital resources requiring creative thinking to develop digital solutions. STEM and coding sessions, taken by class teachers, further expand Digital Technologies learning experiences. Focusing on the hardware, software and network components of digital systems. 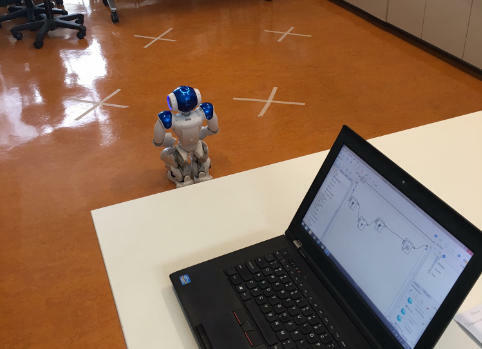 Students initially learn about a range of hardware and software, and progress to an understanding of how data can be transmitted between components within a system, and how the hardware and software interact to form networks. Data and Information Focusing on the properties of data, how it is collected and represented, and how it is interpreted, in context, to produce information. 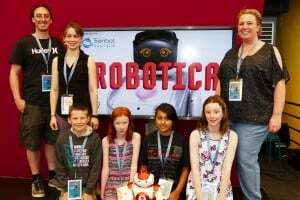 Students learn how data is represented and structured symbolically for use by digital systems, as well as techniques for collecting, managing and organising data that is used to solve problems and create and communicate ideas and information. Exploring the interrelated processes and associated skills by which students create digital solutions. 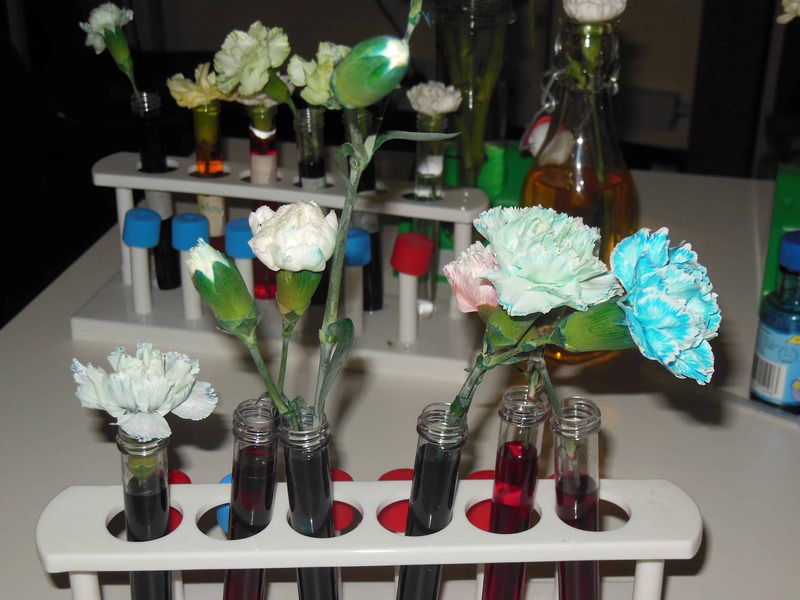 Students engage in the four processes of analysing, designing, developing and evaluating. Creating digital solutions requires skills in using digital systems and computational, design and systems thinking, and interacting safely by using appropriate technical and social protocols. 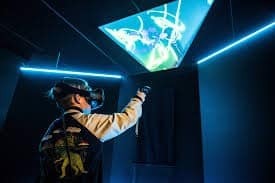 The Design Space program supports the development of individuals with knowledge and skills to resolve digital challenges in imaginative ways, to be efficient operators of technology and critical users of information. 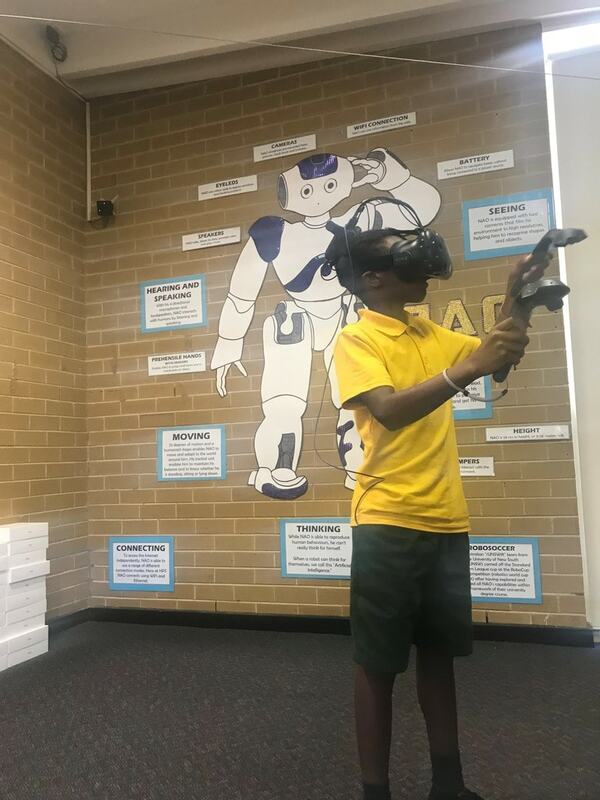 Digital resources include a HTC VIVE & Tilt Brush Virtual Reality (VR) kit and custom built PC, 3D Printers, Samsung S6 mobile devices with Samsung Gear Oculus VR Headsets, a class set of iPads, Google Apps for Education, LEGO Mindstorms kits and our NAO Robots. During Digital Technologies students learn how to program using a variety of coding software, including numerous free programs that students can sign up to use. 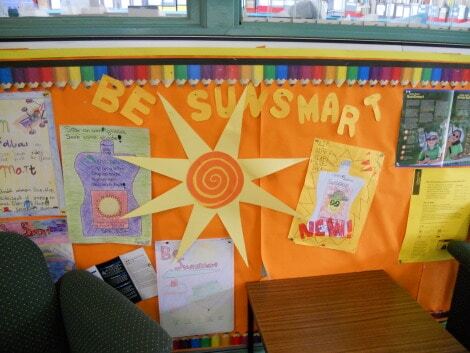 These programs allow both students and staff to track and save their progress. 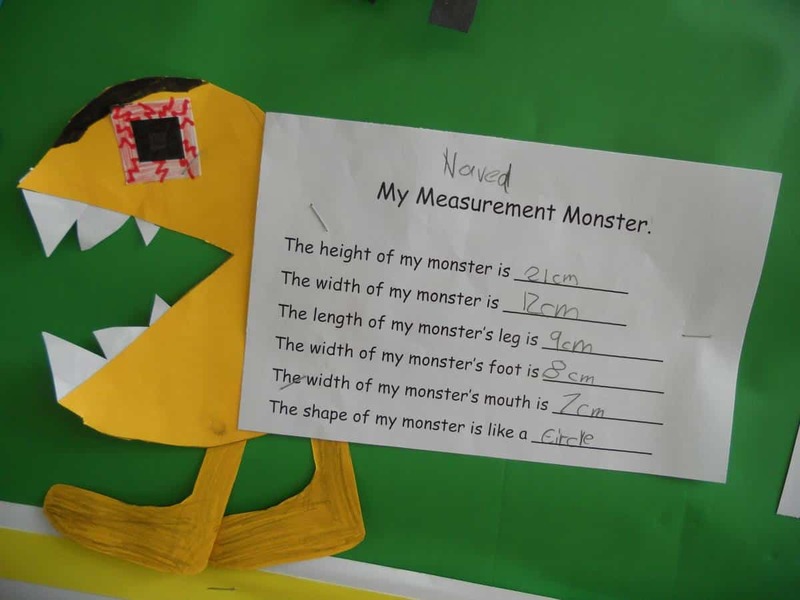 Students are able to log into these programs at home and complete extra tasks to support their learning. Programs students wish to access at home can be noted in their SHARE book log or planner. The Physical Education Program consists of a 50 minute session of Physical Education each week, and regular fitness sessions taken by classroom teachers. The Physical Education lessons aim to develop students’ skills across areas of movement/co-operative team games, volleystars, handball, soccer, T-Ball, softball, basketball, hockey, coaching games, dance, aquatics, athletics, minor/major games, physical fitness and sport education. Students participate in a variety of activities, drills and games, and full participation is an expectation. The students are also encouraged to develop qualities of good sportsmanship such as fair play and teamwork. Hats are compulsory during terms 1 and 4, and it is recommended that students wear appropriate footwear. Students are also expected to bring a drink bottle (water only) to all Physical Education sessions. In addition to lessons, students will be given opportunities to participate in a variety of sports clinics and whole school sports days. Dates and information for these programs will be distributed at relevant times throughout the year. Year 4 All Year 4 students will also have the opportunity to participate in the Gleneagles Cup, Swimming, Cross Country and Athletics Carnivals. Dates and information for these programs will be distributed at relevant times throughout the year. YEAR 5/6 INTER/INTRASCHOOL SPORT & DISTRICT EVENTS All students in the 5/6 area will have weekly sport sessions in the first and third terms. During the second and fourth terms, Year 6 students are expected to participate in Interschool Sport and Year 5 students will take part in a modified Intra-school sport program. At times, a number of Year 5 students might be selected for Interschool Sport. Representing Hallam PS in Interschool Sports is a privilege, so selection to a team is dependent not only on a student’s sporting skills, but on their demonstration of consistently responsible and respectful behaviour at school. All 5/6 students will also have the opportunity to participate in the District Sport Trials, Swimming, Cross Country and Athletics carnivals. 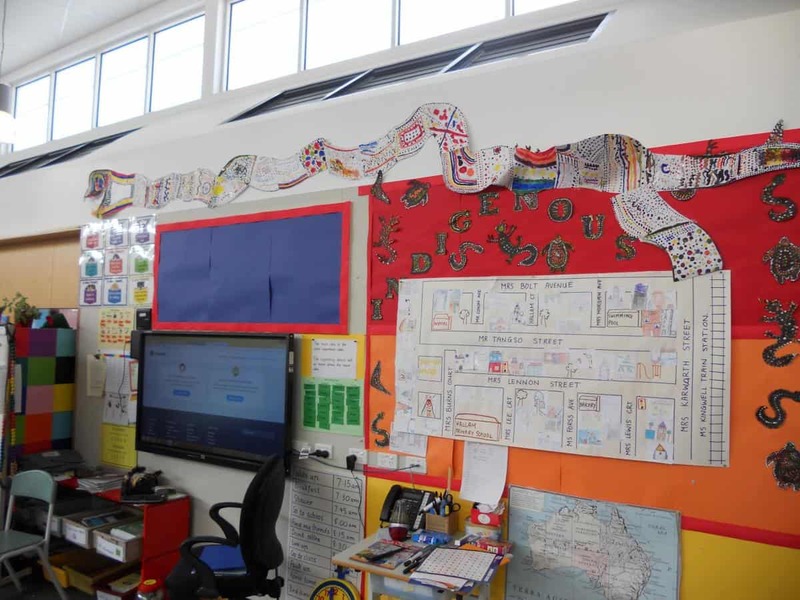 Hallam PS uses the Inter@ct/UnitHero online, curriculum-planning tool, which is made up of a suite of 32 primary school, integrated units of inquiry. One concept-based unit of inquiry is delivered each term. 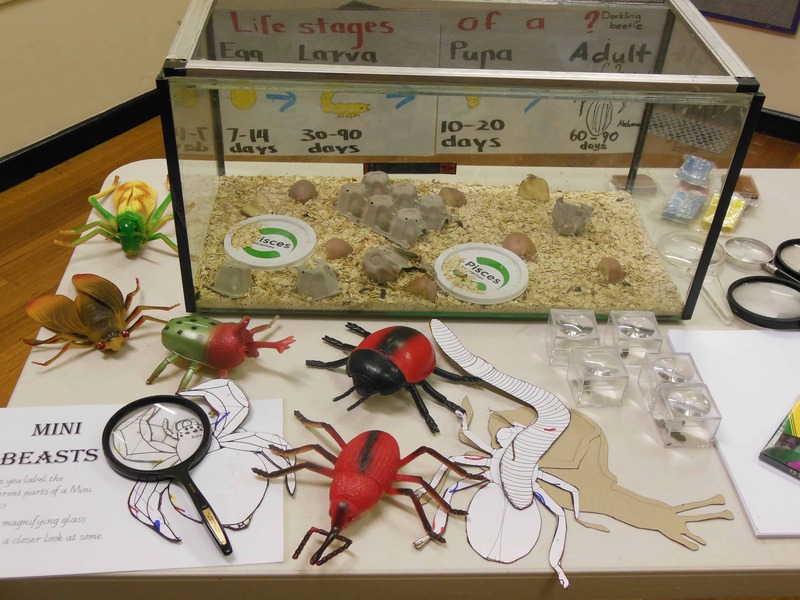 Concepts are explored developmentally from Foundation to Year Six. 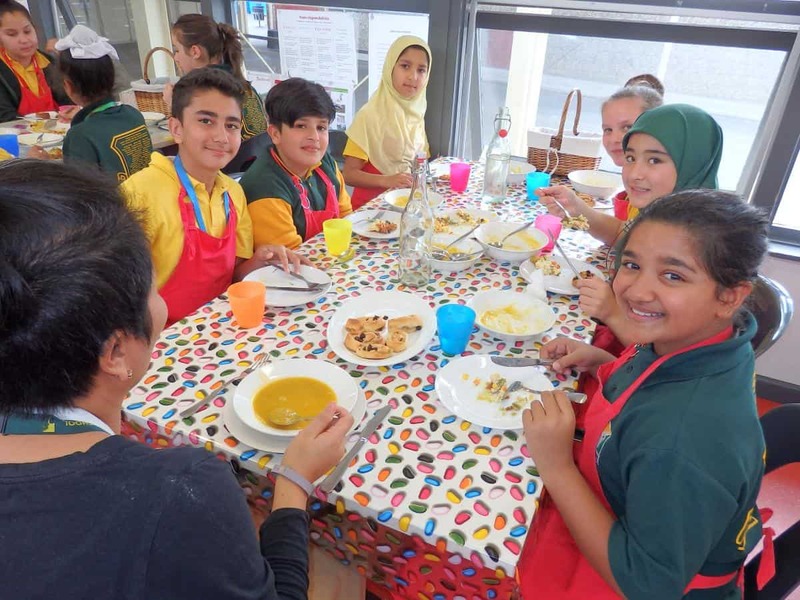 This means that while all of the students will be exploring the same concept at the same time, a developmental approach ensures that content is not repeated, but is instead ‘scaffolded’ to match the maturity and readiness of students at each level. 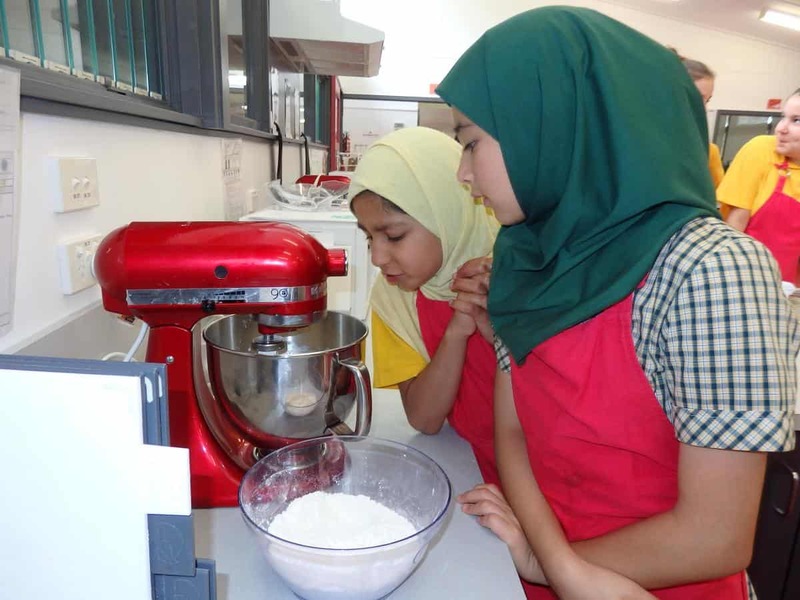 Our inquiry approach enables our students to explore world-wide and age-old concepts from many different perspectives, encourages them to be empathetic and thoughtful learners and provides opportunity for wonderful exploratory activities; everything from hosting bazaars to creating mini-movies and presentations, and engaging in art and design. 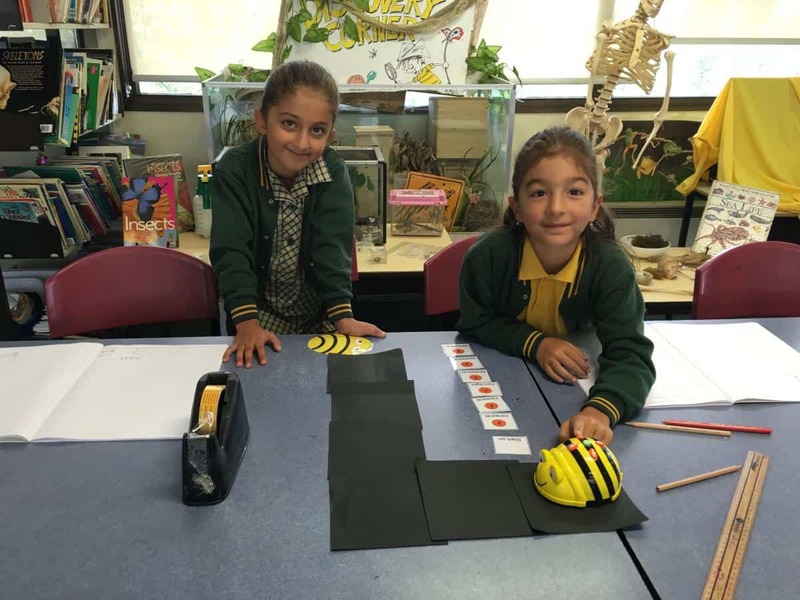 Our students’ Literacy and Numeracy development is a priority at Hallam PS. Intensive, clinical sessions are scheduled daily in classrooms where a focus on mental arithmetic, tables and number facts and related concepts begins each session. 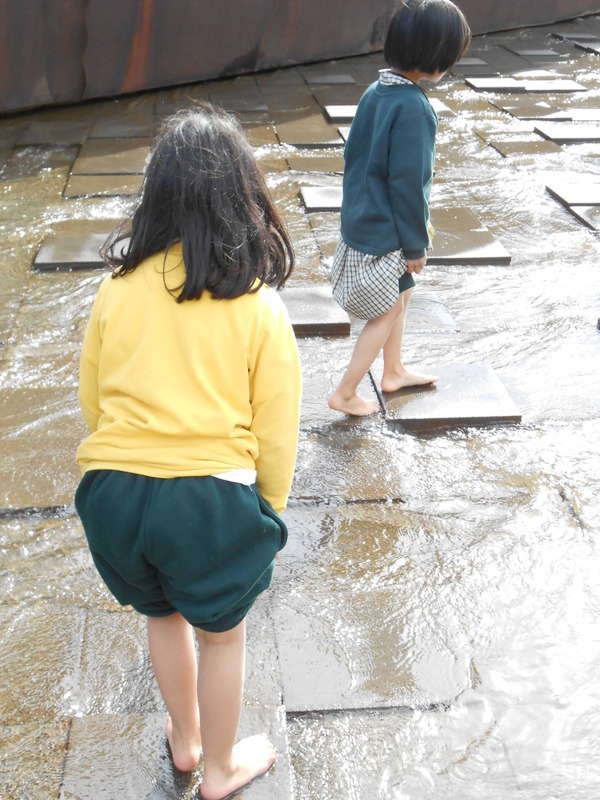 A variety of exciting, hands-on activities are designed to enable the practice and consolidation of Maths skills. Literacy sessions too, incorporate a structured, clinical approach to the development of reading and writing skills. 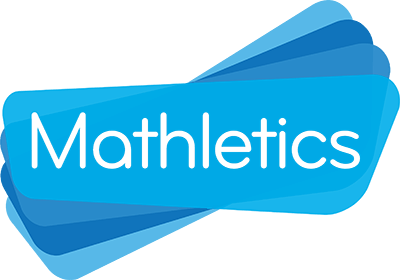 A range of online learning programs (including Reading Eggs and Mathletics) are available to support students’ development as well as being wonderful motivators! 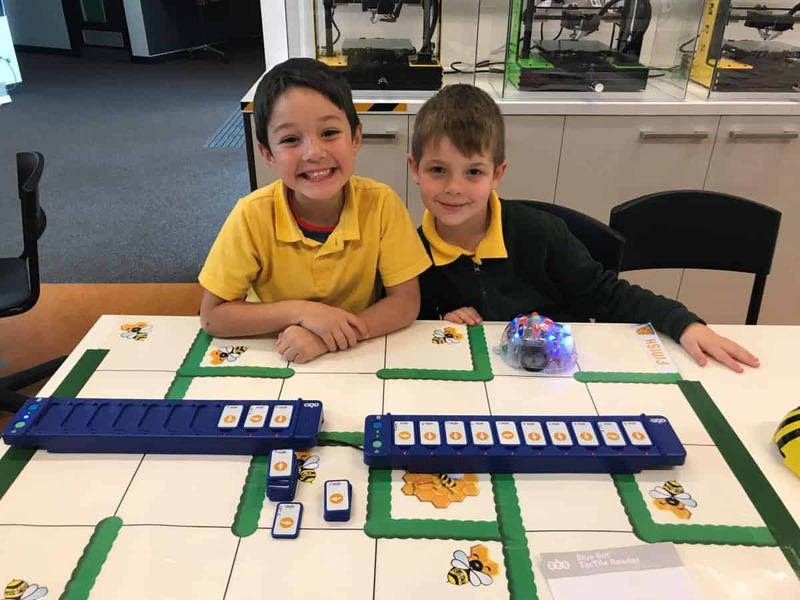 Young Hallam PS authors have the opportunity to showcase their writing at our Literature Fest evening, and show off their mathematical computation skills while manning stalls at our student-run Mini Fete. Listening To Your Child Read Many skills and processes are required to be a successful reader. You play an important role in the development of your child’s reading ability. To assist your child, it is recommended that you listen to them read at least 3-5 times a week. When listening to your child read, please focus on each of these aspects of reading. Decoding: Using the knowledge of letter-sound relationships to accurately read and pronounce words. Vocabulary: Understanding what words mean in the context of the text. Fluency: Reading the words in a text in a continuous, flowing sequence. Fluent readers demonstrate a smooth reading style, natural phrasing with pauses and voice expression. Punctuation is used to assist fluency (for example, we pause and take a breath at a full stop). Comprehension: Understanding and making meaning from what is read. Focus on Reading Comprehension When reading with your child, it is important to discuss the text and ask them questions to improve and monitor their comprehension. The ability to read and comprehend text is extended through talking.Use some of these questions and discussion prompts to extend your child’s comprehension of texts. Before ReadingUse the front cover (title and pictures), blurb and your child’s prior knowledge to help them ‘tune-in’ to reading the book.  What do you think this story is going to be about? (make a prediction) What characters might we see? What questions do you have about this book before you start reading?  What do you already know about the topic of this text? What do you hope to learn about the topic of this text?  Why did you choose to read this? After ReadingDiscussing the text after reading will deepen your child’s understanding and enjoyment of what they have read.Help them make connections between what they have read and things that they have experienced in their own life.  Summarise the story. Was there a problem in the story? How was it solved? Does this story remind you of anything?  What did the characters learn?  Did you enjoy the story? Why/Why not?  Why did the character __________?  Can you think of another ending?  Was ____________ a good title for this book? What did you learn from this book?  When might you use the information you’ve learnt?  Discuss the structural elements of a non-fiction text (contents, glossary, diagrams, captions, tables, etc).  Why do you think the author wrote this book? Students in Prep – Year 6 participate in a 50 minute Arts session each week with Amanda Conder in the Open Learning Space. 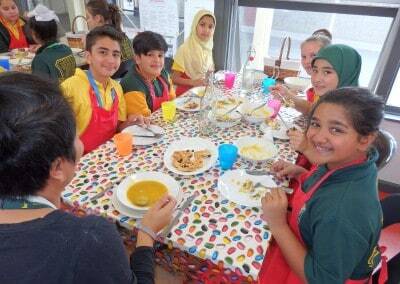 During these sessions the students have the opportunity to develop their creative and expressive capacities by learning about the different practices, disciplines and traditions that have shaped the expression of culture locally, nationally and globally. Students are both artist and audience in the Arts. They make and respond and learn to appreciate the specific ways this occurs in different disciplines. The ‘Arts’ includes Dance, Drama, Media Arts, Music, Visual Arts and Visual Communication Design. 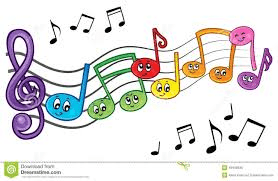 Recorders – Students in Years 3-6 participate in the IJAM Black Belt Recorder Program. Students require their own recorders and ‘yellow’ student books for this program. 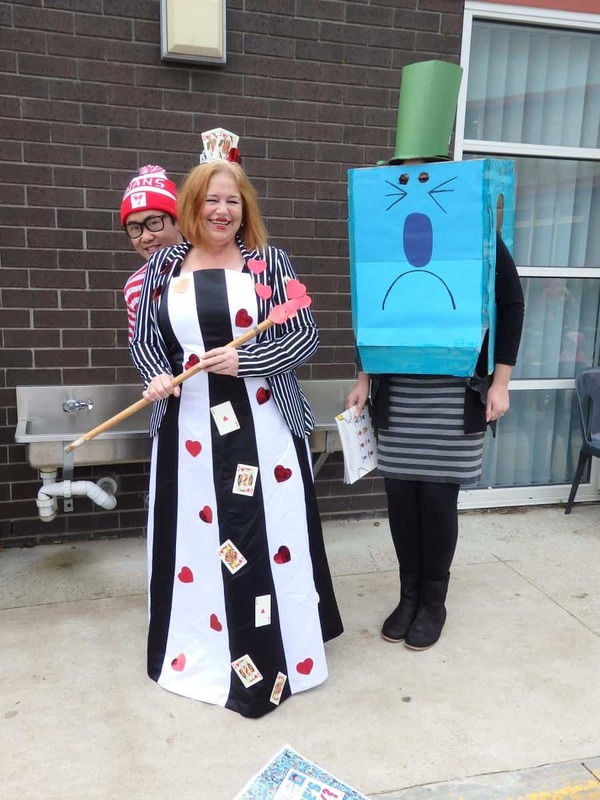 Lunchtime Programs – Throughout the year students have the opportunity to attend a variety of lunchtime Drama and Music Programs. 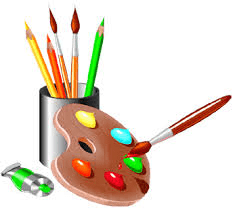 Art Fest – Students in Prep – Year 6 will participate in a whole school Art Exhibition. 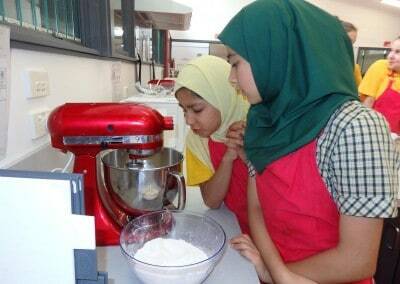 The ‘Art Fest’ will be organised during the year to showcase the students’ work. Friends and family members are invited to attend this fun evening event. 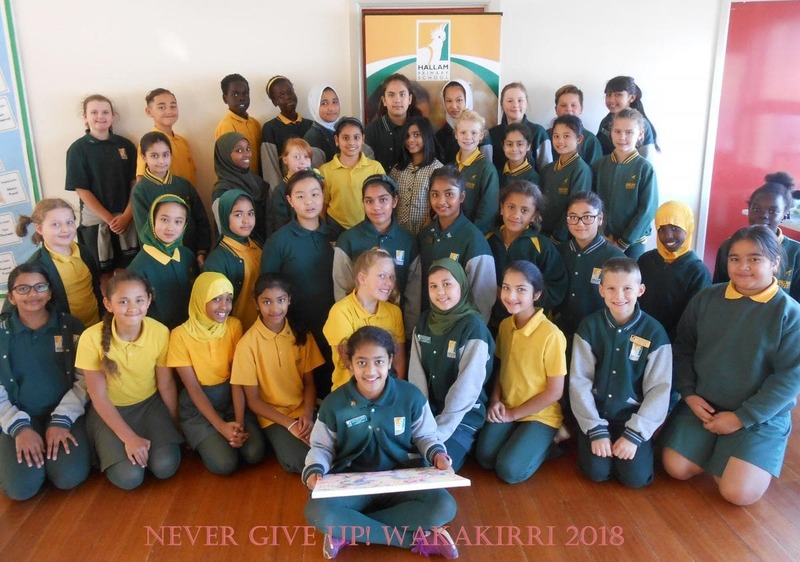 Wakakirri – Students in Year 5/6 will have the opportunity to participate in the Wakakirri Story Dance Competition. 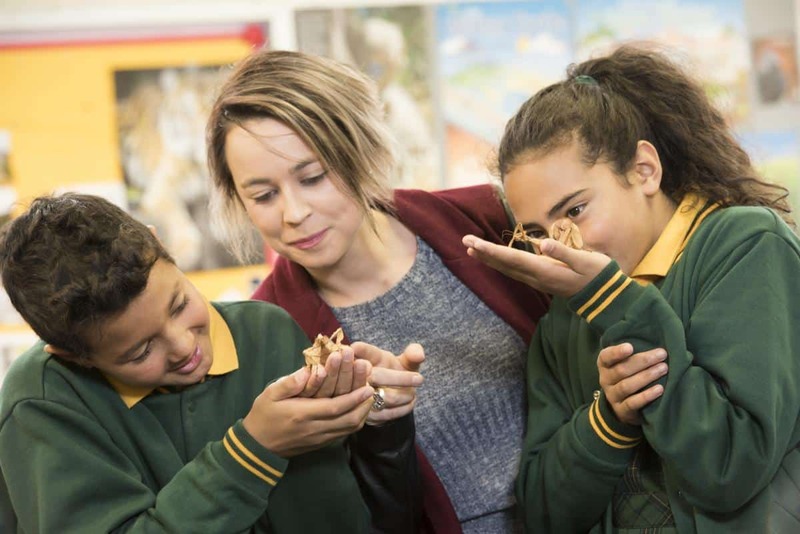 Each year hundreds of schools across Australia create Story Dances for Wakakirri that reflect their students’ thoughts, ideas and aspirations. These stories are performed in professional theatres in front of the official ‘Wakakirri Panel’ who are searching for the ‘Story of the Year’. 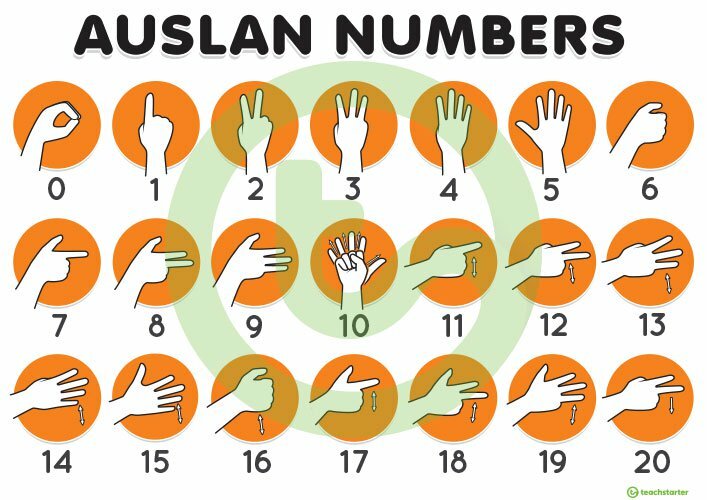 Students from Foundation to Year 6 will be learning AUSLAN in 2019. WELCOME TO HALLAM PRIMARY SCHOOL LIBRARY! Hallam Primary School has a wide variety of books in the library. Students have access to these books once a week with their class teachers. All are encouraged to borrow books to take home and read and enjoy. Library bags are needed to transport the books safely. Please make sure your child has a cloth/plastic bag to keep our books clean and in good shape.